5 hours from Minneapolis, Minnesota. Follow Hwy 52 until 16th St. Follow 16th St. to 151, 61 North. Follow County Road Z for about 3 miles. Sinsinawa Mound is to your left. Follow County Road Z for about 3 miles. 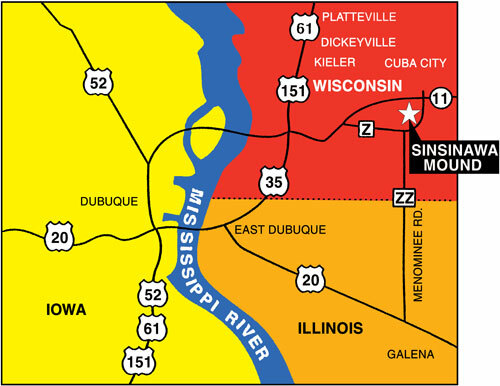 Sinsinawa Mound is to your left. Turn right on County Z.